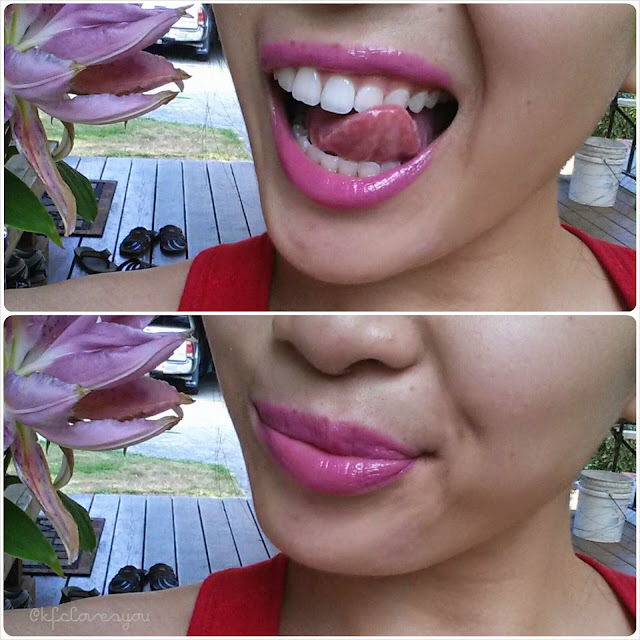 I love me a nice HOT pink lip and one of my favorite combos to achieve this is using two NYX Cosmetic products. 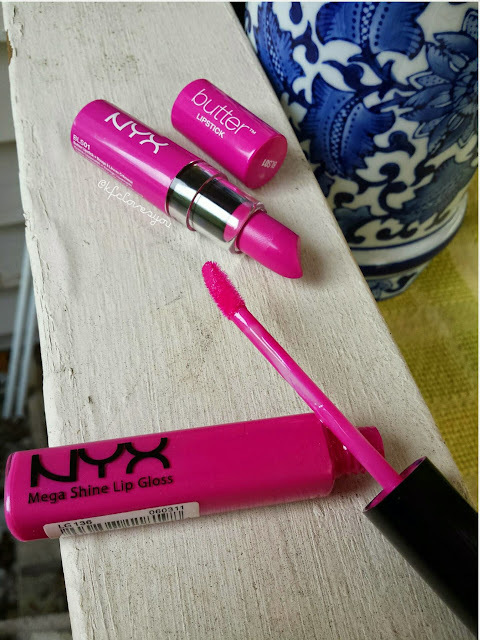 Meet the NYX Butter Lipstick in Razzle and the NYX Mega Shine Lip Gloss in Dolly Pink! 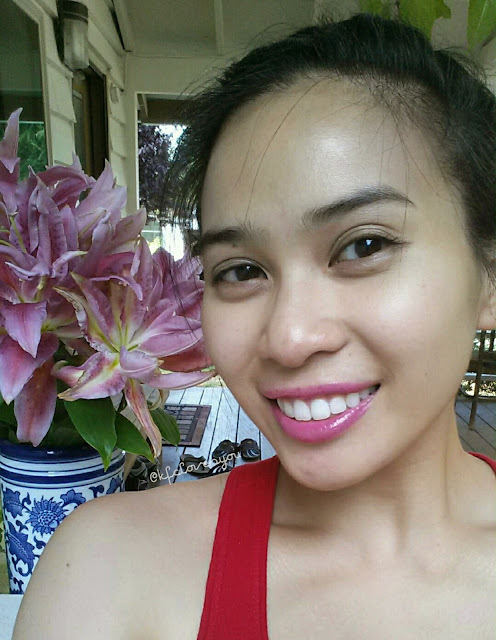 I've mentioned the lip gloss in a previous post (here), but I haven't mentioned this butter lipstick. 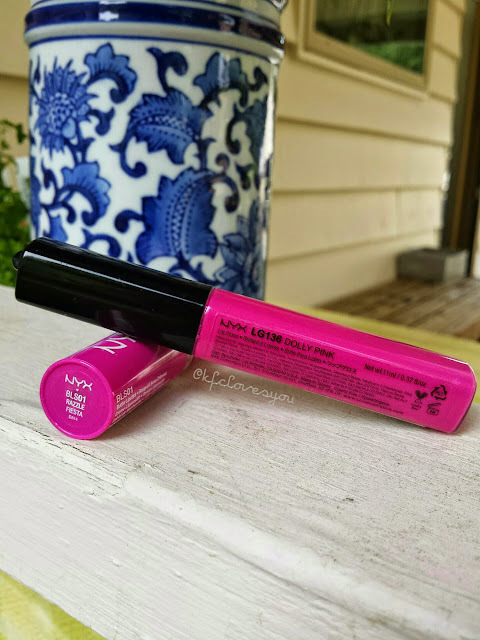 It took awhile for me this butter lipstick since it was sold out almost everywhere when these first launched but I was finally able to get it at Urban Outfitters a few months ago. 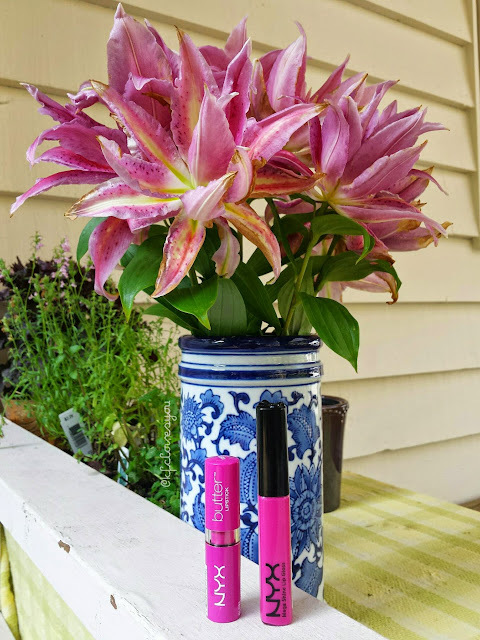 I have a thing for bright pink lipsticks and when I finally got Razzle in my hands, I was extremely happy and quickly noticed how similar it was to Dolly Pink and I knew the two would pair together perfectly! Here's a look at the combo swatched on the lips. I just love it! It's super fun. You could wear this day or night, or whenever the hell you want and it is really easy to reapply. I like that it isn't super opaque or too neon (say like Candy Yum Yum by Mac) but it is still definitely a punch of color. You can definitely apply this duo either more on the sheer side or really build it up (or of course wear them both individually). Love the look of these, they are gorgeous shades! Thanks you. I'm really loving pinks a the moment! Ahh, I still have yet to try a Topshop lipstick. I just don't know which one I want yet! 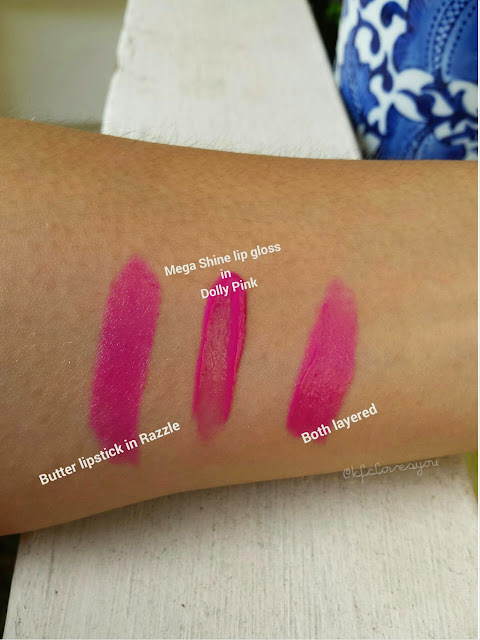 I love the Maybelline Vivids too but I haven't tried Fuchsia Flash yet! I know a lot of people talk about it and it is such a gorgeous shade. I may need to pick that one up soon along with Coral Crush and Vivid Rose! I love NYX lipsticks!!! Beautiful colors and great quality for an even better price! Haha yes, I love NYX too and you really can't beat the price point. I will come visit your blog soon!